EXCELLENT COMMERCIAL SITE. FORMER CHEVRON STATION. 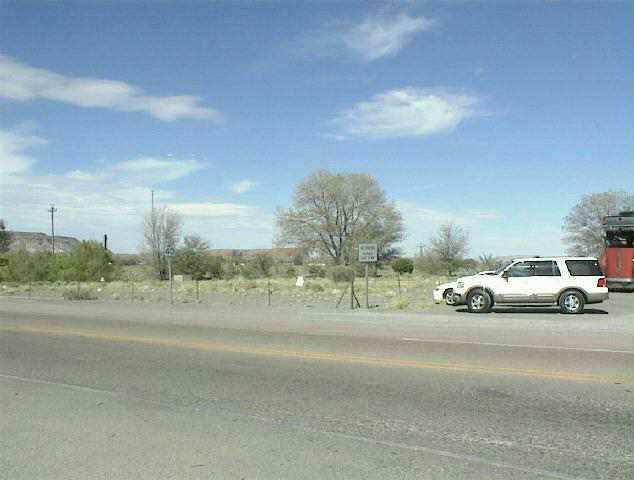 1ST RIGHT CORNER LOT FROM WESTBOUND I-40 AT EXIT 53 (THOREAU). REPORTED WELL BUT NO INFORMATION. UNDERGROUND TANKS REMOVED. UST PAPERWORK IN OFFICE. .95 A (41382 sf m/l) PRICE REDUCED TO ONLY $55, 000 or OR $1.33 sf.